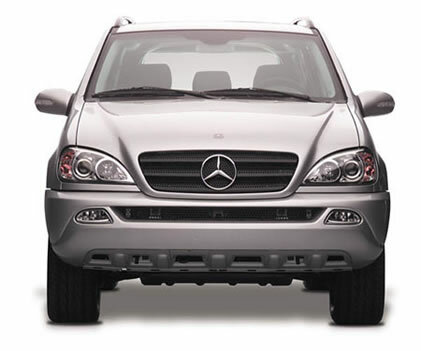 Here are some pictures of our trip to the Mercedes plant on February 27, 2002.  M-Class vehicles are made at this plant which is located about 40 minutes west-southwest of where we live and not far from Tuscaloosa. 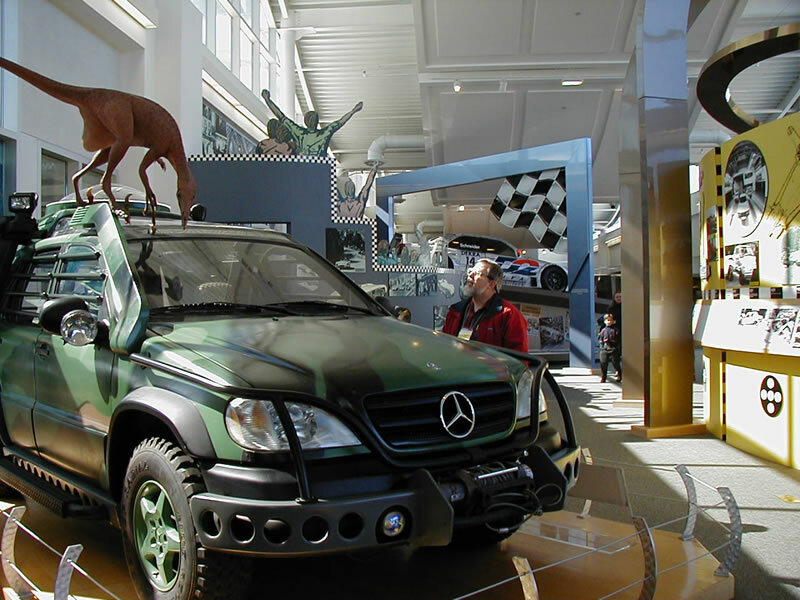 These pictures were all taken at the Mercedes Benz visitors center. Cameras were not allowed on the factory tour. Click on each image to get a larger view. 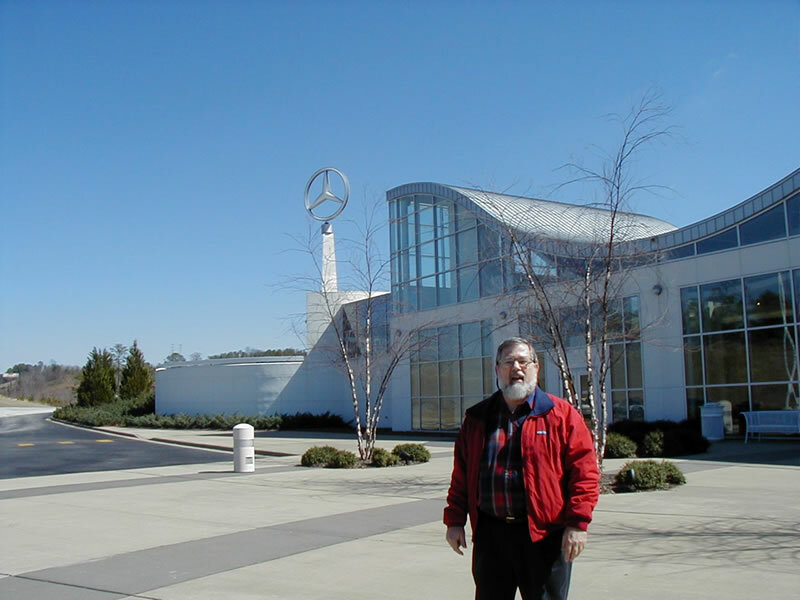 Brian outside the Mercedes Benz visitors center getting ready for tour. 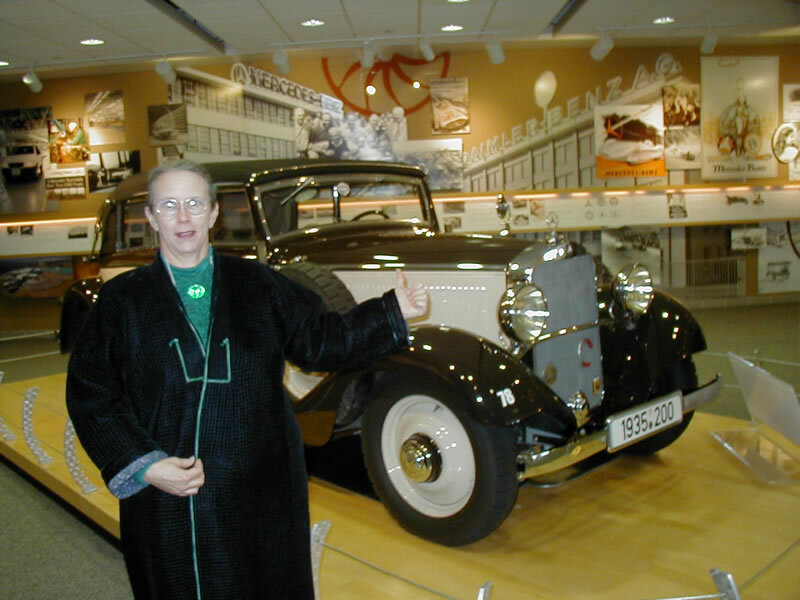 Jane posing before one of the antique Mercedes cars on display in the visitor center. 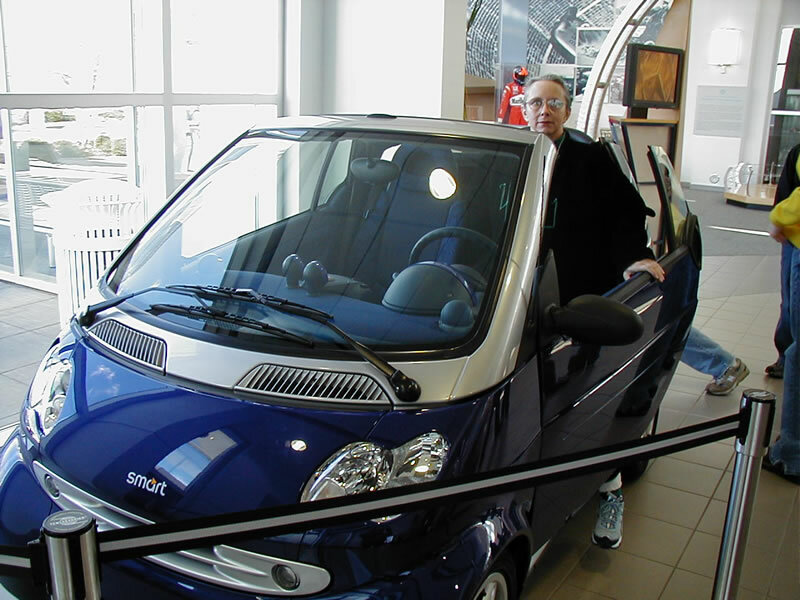 Jane was enthralled by the experimental European vehicle and shows how small it really was. Brian looking over the M-Class used in one of the Jurassic Park movies. 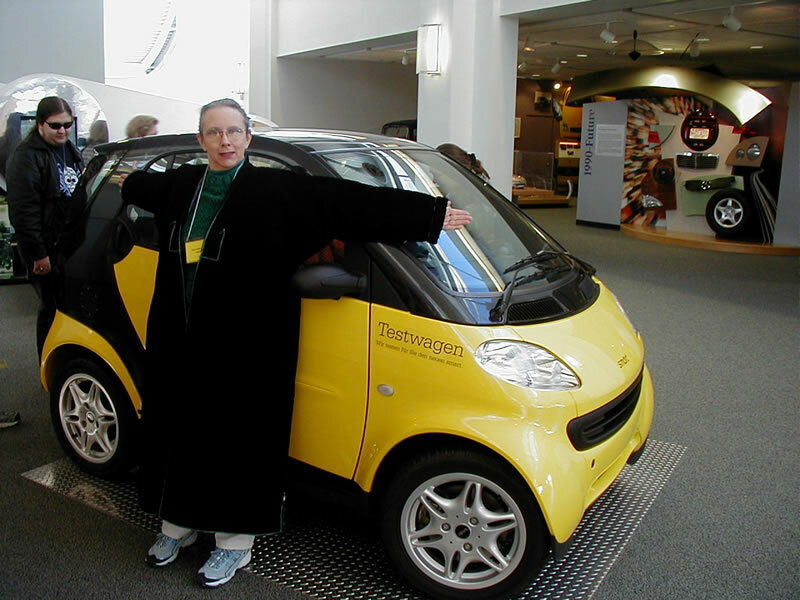 Jane sitting in another experimental car ready to drive out the door (where's security?). Modified on April 6, 2002.